Carl Court – WPA Pool/Getty ImagesBritish Prime Minister Theresa May views a car on a production line during a visit to the Jaguar Land Rover factory on September 1, 2016 in Solihull, England. Theresa May will on Monday reassure MPs that “95% of the Withdrawal Agreement and its protocols are now settled” amid growing threats to her leadership. A fraught phone call with her Cabinet on Sunday saw ministers line up to challenge the prime minister over her handling of Brexit negotiations. May appears no closer to solving the Irish backstop impasse, with MPs threatening to depose her if she makes further concessions to the European Union. To make the prime minister’s week even more difficult, she is facing the threat of rebellion from over 40 MPs if she does not bow to new demands over the backstop measure within the next 48 hours. 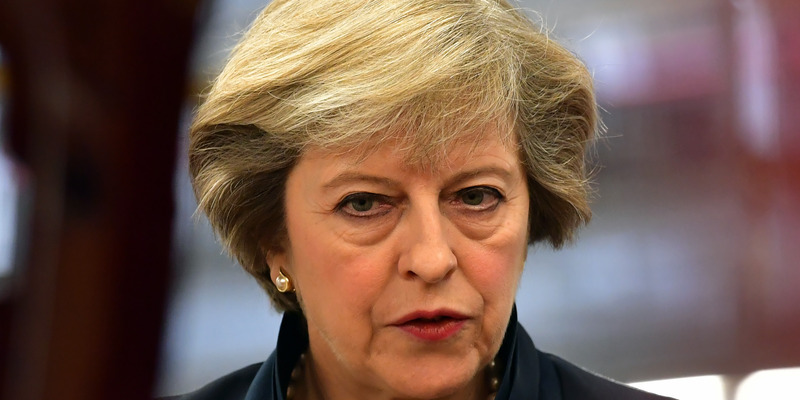 LONDON – Theresa May will begin another dangerous week pleading with her MPs for more time to complete Brexit negotiations after Cabinet ministers revolted further against plans in a late-night phone call on Sunday. While the speech is likely to contain no new policy announcements, it will likely provoke suspicions among restless Brexiteers that May has made more secret concessions in Brussels to get a deal over the line. It could also prove to be a potentially explosive run-in with her own MPs, a growing number of whom are threatening to trigger a no-confidence vote in her leadership amid concerns her Brexit plans are undeliverable. The threat of rebellion stretches to her own Cabinet, with ministers thought to be unhappy about May’s recent suggestion that the transition period could be extended beyond the 21 month period already agreed. In a long and difficult conference call on Sunday, Work & Pensions secretary Ester McVey reportedly told the prime minister she was “devastated” by the transition extension proposal, while Home Secretary Sajid Javid challenged May to use the threat of a no-deal scenario as leverage in talks. Attorney General Geoffrey Cox also raised “significant concerns” about both the backstop and extending the transition, the Telegraph reports. 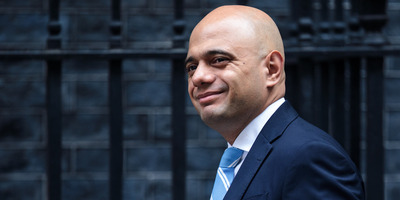 Jack Taylor/Getty ImagesHome Secretary Sajid Javid. As well as the transition period, May will expect tough questions from MPs on the controversial “backstop” policy for preserving the frictionless Irish border no matter what the outcome of Brexit talks. The prime minister maintains that she will not accept the EU’s preferred backstop solution of Northern Ireland effectively remaining in the EU’s customs union and single market after Brexit, as this would create new checks between Northern Ireland and the rest of UK. This would enrage a lot of MPs, not least the 10 Democrat Unionist Party MPs who prop up her Conservative government and are threatening to withdraw their support. May’s backstop counterproposal is for the UK as a whole to stay in a customs union with the EU. However, she has already reneged on a key promise she previously made to Brexiteers, telling EU leaders that whatever backstop is eventually agreed will not come with a fixed end date. Conservative MPs fear this will lead to Britain being trapped in the EU’s customs territory for years to come, unable to sign new free trade deals. May’s most recent attempt to break the deadlock – her suggestion that the UK could extend the transition period “for a few months” if the UK needed more time to solve the Irish border conundrum – was met with fury by Tory MPs, who accused May of unnecessarily delaying Brexit while preparing to hand over more money to the EU. To make the prime minister’s week even more difficult, she is facing the threat of rebellion from over 40 Conservative MPs if she does not bow to new demands over the backstop within the next 48 hours, the Times reports. Downing Street has reportedly commissioned legal advice to determine whether May must deal with new demands from the European Research Group of Brexit-supporting MPs who are attempting to derail the backstop measure with new legislation. Steve Baker, a leading ERG member, has tabled amendments to government legislation which could stop Northern Ireland being placed in a different regulatory and customs territory from Great Britain without a vote in the Northern Irish parliament in Stormont. The amendment will be put to a vote on Wednesday unless May backs down, with the threat of rebellion hanging over her if she refuses to. At stake is her leadership of the party. Support among backbenchers for her leadership has diminished even further last week amid lurid calls from MPs for the PM to “bring her own noose” to a meeting with backbench MPs on Wednesday. If 48 MPs submit a letter of no-confidence to Sir Graham Brady, the chairman of the 1922 backbench committee, he would be required to call a vote of no confidence, a mechanism by which the party could ultimately force a replacement in leadership. There is continuing speculation as to how many have currently been submitted.